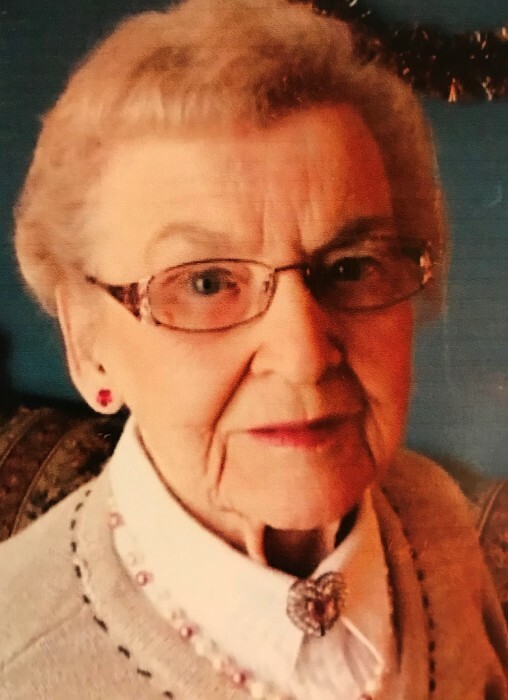 Obituary for Louise M. Smith | Buechele Funeral Home and Cremation Services, Inc.
Louise M. Smith, 97 of East Brady died Sunday, September 16, 2018 at the Chicora Medical Center. Born December 20, 1920 in Phillipston, Clarion Co., she was the daughter of Russell L. and Nellie E. (Painter) Mortimer. On September 7, 1946, Louise married Charles J. Smith. He preceded her in death on October 2, 2010. She was a 1938 Graduate of East Brady High School. She managed Foust’s Market in East Brady for a number of years. Louise was a member of the East Brady United Methodist Church in East Brady and was also a member of the United Methodist Women. Louise loved baking, gardening, her dogs and spending time with her grandchildren and great-grandchildren. She is survived by her daughter; Cynthia Cogley and husband Jerry of Butler, 2 grandsons; Charles G. Cogley of West Mifflin and Ted A. Cogley and wife Melissa of East Butler, and 3 Great Grandchildren; Ashley Cancilla, Andrew and Violet Cogley. She is also survived by 1 sister in law; Dorothy Mortimer of East Brady, and many nieces and nephews. Louise was preceded in death by her parents, husband and 3 brothers. Services for Louise M. Smith will be private.